The Staff: These are the people who keep showing up - week after week with hearts to see our community connected. Our staff meetings are filled with passionate discussion, inspiring problem solving and heart felt stories. They make sure the work gets done. Dan Miller runs our bike shop and contributes years of logistics and organizational experience. Dave Jay is a retired forestry manager and current Rotarian. He has years of leadership and experience with youth - including 14 grandchildren. Denice is a business consultant and retired director of Career and Technical Education for Battle Ground School District. (pronounced few-kway) has been the director of International Renewal Ministries since the year 2000 (www.prayersummit.net). Prior to that, he pastored for twenty-five years in Gig Harbor, Washington. Dennis helps shepherd Pastors’ Prayer Summit, which has spread to at least forty states and over thirty nations. He has had the privilege of facilitating corporate prayer in multiple-day Prayer Summits, congregations, classrooms, at retreats, and many other settings. He earned both his Bachelor’s and Master’s degrees in ministry at Multnomah University, Portland, OR. Dennis speaks often on the topics of individual and corporate prayer. His passion is to see the church relate best to God, itself, and to those who have not yet placed their faith in Jesus Christ. He is a member of America’s National Prayer Committee and Mission America Coalition and serves as one of the coaches of their “Loving Our Communities to Christ” process. His articles have appeared in several magazines including Pray! Magazine and Prayer Connect. He is also the author of the 2010 book Living Prayer: The Lord’s Prayer Alive in You (www.livingprayer.net) and the 2012 book United and Ignited: Encountering God through Dynamic Corporate Prayer (www.uandibook.net). Dennis and his wife, Marilyn, have four adult children and seven grandchildren. They live in Vancouver, Washington. ​Russell is the founder, owner and proprietor of Mill Creek Pub. His space is one of the primary connecting locations in Battle Ground. Not just because of the food. Russell is himself a connector with all the associated super powers. He serves on many boards and is involved in community development on many levels. Mike is a ‘home grown’ life long resident of Clark County. Born in Vancouver, moved to a farm in Ridgefield when he was a boy and then moved to Battle Ground while in High School where he graduated in 1966. His ‘claim to fame’ is the ‘Love’ of his life, Lar Leigh who has shared this Great Adventure for the last 46 years. Another claim to fame is his six incredible children (including spouses) who have blessed and increased their ‘tribe’ with 12 unique and wonderful grandchildren. 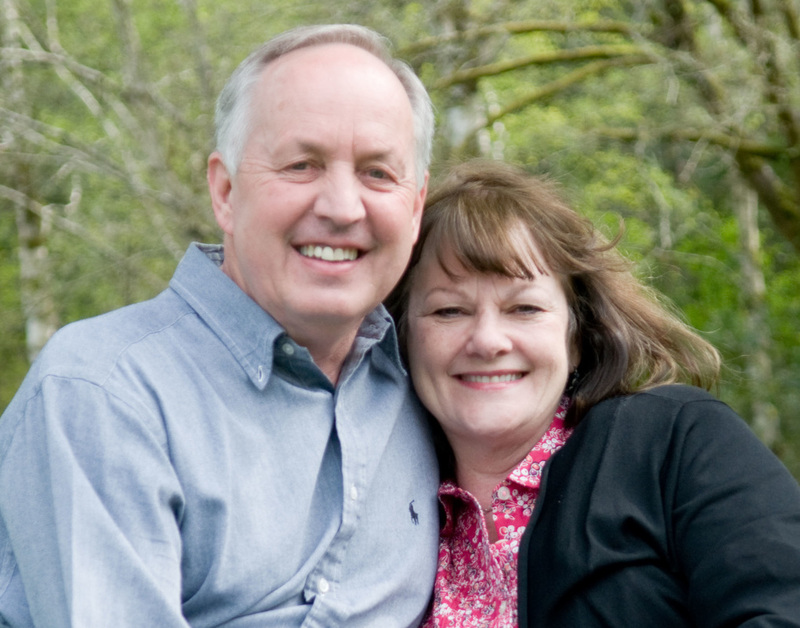 Mike graduated from Nazarene Bible College in 1976 in Christian Education and continued his educational journey at Northwest Nazarene College and Multnomah Biblical Seminary. Mike has been employed and self-employed in a variety of disciplines. The State of Washington: Civil Engineering Tech., City of Colorado Springs: Planning Department. Local Builder/Developer: Project Manager of Development & Construction. Clark County: Providing Communications Consultant/Graphic Design services as a self-employed Professional Service Contractor. 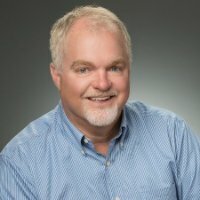 He has pastored 3 churches: Vancouver, WA, Friday Harbor, WA and currently, Hockinson Community Church in Brush Prairie, WA for the last 23 years. He has actively served the national and international community of Missions through biblical teaching with YWAM. He has served as a Chaplain with Fire, Police and EMS since 1979 and was part of the development County Wide Chaplaincy and served as it first Director. His heart and life are woven into fabric of the Hockinson and Battle Ground community. Just for fun… He is an ‘old school’ drummer, wood worker and ‘old car’ guy. ﻿Dennis Fuqua - "I am delighted to be part of Connect Battle Ground because there is a clear relationship between how well we "connect" with one another in a community and how much we are able see accomplished in a community. I believe that both the leadership and the vision of CBG are good investments of my time and energy." Elizabeth Higley from 4 Results hopes to "participate in and contribute to the Connect Battle Ground Mission and increase the number of mentors for youth who need it most." She also hopes "to help educate and advocate for 'quality' mentoring between kids and adults in 'healthy' relationships." Ed Staton from Landmark Christian Assembly hopes to "help churches connect with other groups that are committed to helping the youth in our community." Kristen McIntyre from Captain Strong Elementary - "My hope is that through the collaborative, our students will be able to receive a variety of things to meet ALL their needs. Also to be able to bring everyone together toward a common goal and shared resources." Ven Portansky from Word Of Grace Church "hopes to provide biblical counseling to people in our community in the areas of family, conflicts, fears, depression, anger and addictions." Sean Chavez, Communication Director from BGSD hopes "to support our community to be connected, healthy and loved. - kids and couples." Mary Jadwisiak from the Youth Suicide Prevention Program hopes to see "everyone play a role in suicide prevention and know what their role is." Matt Eastman at Anchor Point Counseling hopes that "through communication and connection that our community will foster our own development and fill the needs of all of us." Joy Russel from Battle Ground Four Square hopes for "unity - healthy people: body mind and spirit." Denise Hays, Director of the Old Town Battle Ground Association's Main Street Program hope that "through community connectedness, each person, regardless of age, is able to stand taller in their God given gifts and talents." Gilda Ciraulo from Rocksolid Teen Center hopes to "get Rocksolid into the community and have more visibility - and develop a closer relationship with the school district so we can influence more teens in a positive way with a safe place to hang out." Ron Herbig from Battle Ground Baptist "I hope to see vehicles where I can engage more of our congregation in the lives of children." Jude Blocker from Battle Ground Community Ed hopes "to improve mental and physical health while helping establish a sense of community." Mavis Nickels (BG Citizen) Hopes every child is given the chance to find his/her passion and to receive the emotional, health, etc encouragement he/she needs. Rochelle Unger from Center Point - "I hope the group can connect in a way that builds stronger relationships. I want to connect our church members to the business and art as well as the education sector of our community." Beth Johnson-Burger from Battle Ground Art Alliance hopes "to provide the resource of art to heal, find peace and an outlet - art heals the soul." Pat La Croix from Clark County Arts Commission hopes "to get arts to be part of the health of the community."